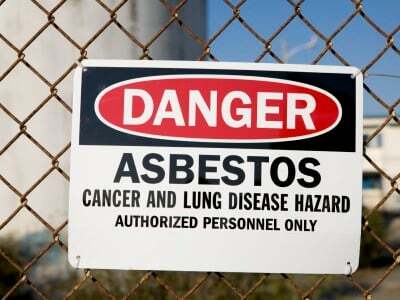 We are licensed asbestos assessors in Australia. The Work Health and Safety (WHS) Regulation 2017 requires an asbestos clearance inspection and clearance certificate to be issued for all licensed asbestos removal works. The inspection is to be carried out and a clearance certificate issued before the work area can be reoccupied. Testing of settled dust samples in a NATA accredited laboratory. All non-friable (bonded) removal works – clearance certificates by an independent competent person. So before resuming work on site, get in touch with a Hazmat Licenced Asbestos Assessor (and competent person) to carry out visual inspection of all asbestos work areas and issue a clearance certificate . A Licensed Asbestos Assessor is required for air monitoring, clearance inspections or the issuing of clearance certificates for Class A (friable) asbestos removal works. Hazmat has a number of Licensed Asbestos Assessors available, so contact us to assist to provide you with an inspection to ensure you comply with your legal obligations. Clearance certificate in relation to friable asbestos removal work to be issued only by a licensed asbestos assessor (regulation 489).